Why Every Agency should have a White Label SEO Audit Tool in their Kitty!! Before getting into the need of having a White Label SEO Audit Tool in your kitty, let us understand what this term ‘White Label SEO Audit Tool’ actually means!! An SEO Audit Tool is like what a thermometer is to a doctor. It helps the marketers know the health of a website in just a few seconds. Every Agency which works in the field of inbound marketing, website design or improving business through digital channels, do SEO Audits / Website Audits of the client’s website multiple times to make sure the best practices of On Page and Technical SEO are followed. Now as we have a brief idea of what White Label SEO Audit Tool is all about, Let’s understand how it can help marketers and digital agencies in improving their business. What Makes White Label SEO Audit Tool So Important !! As a business owner, you, of course, want to have a lot of leads and keep your Top of the Funnel full :). Gated content is an excellent way of generating leads but it needs at least a couple of months and a team of 4 experts (content writer, graphics designer, website expert, SEO expert to make a wonderful ebook or a white paper. (you can find a detailed blog on this topic here) this where White Label SEO audit tool comes handy. With RoboAuditor, you can embed the SEO Audit Tool yourself by just adding a couple of lines code on your web page and start generating the leads from day 0 onwards. Now you no longer have to wait for months like you do for your gated content. Lets us first understand what Cost per Lead exactly is! Well, Cost Per Lead (CPL) is the total cost which is induced while developing, publishing and sharing the offers amongst various channels to that of the number of leads generated. It’s always essential to differentiate the costs over different offers so that you can know which offer or content gives more profit, in short, it is generating clients at a much lesser cost. Consider this example, now suppose your marketing team spends around $1000 to generate say 10 leads, the cost per lead would become $100. But now you increase the sales by doubling the number of leads to say $20 and spend same $1000 but now your cost per lead would come down to $50. This sounds amazing, isn’t it? An SEO Audit Tool reduces your cost per lead by more than 75% if it’s executed properly. White papers and e-books provide the users with detailed information, but they do not focus on particular information which your prospects would be looking for. 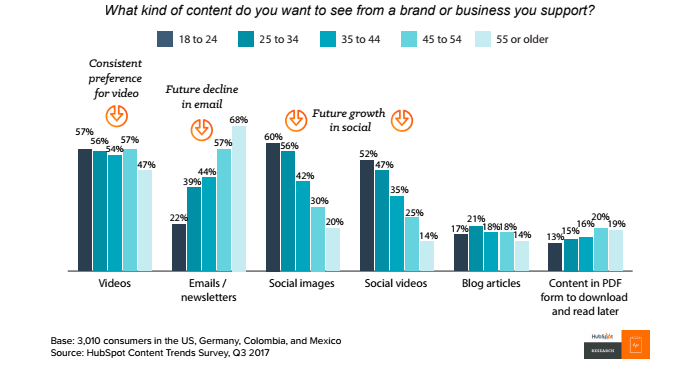 A recent study by Hubspot shows that the long form of content i.e. ebooks, white papers etc are least popular among all age groups across the world. For Example, you wrote a wonderful ebook on SEO Audit Checklist, but your prospects still have to digest this information and apply it to the website manually and then analyze the output. Wouldn’t your prospect be super HAPPY if you directly do the SEO Audit and give the exact pointers which should be worked upon? Of course, yes. The prospects would love this. That’s exactly what your SEO Audit Tool should do. Actionable Insights can be defined as an analytical result that provides sufficient data to the organizations and managers to make an up-to-date decision. In short, it is about giving the right recommendations based on a certain logic. Who doesn’t love recommendations? If an SEO Audit Report not only tells me the issues but also tells me what to do to fix it, would I love it? Of course, I will and I am sure same is the case with most of the business owners worldwide. An SEO Audit Tool which not only gives you the list of issues but also the recommendation on how to fix it would make the real difference. RoboAuditor provides detailed recommendations based on the website audit information. As a business owner, wouldn’t you would want to look the best for your clients? This can only be possible if and only if your sales team has done a proper research about the clients. Wouldn’t it be awesome if your sales team walks into a client meeting with a comprehensive website audit report (with your business branding of course) and start the discussion from there? This, for sure will leave a good impression on the client and your agency will have an extra edge to win the deal. SEO Audit Tool is one the best lead generation tools your business should invest it. RoboAuditor is the only White Label SEO Audit Tool which not only provides downloadable comprehensive SEO Audit reports but also lets you Embed the SEO Audit tool on to your website in just a few clicks. Start Using RoboAuditor today and automate your agency’s sales and marketing. Can Digital Agencies Generate Leads without E-books and Whitepapers? 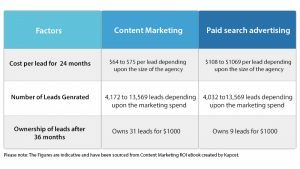 For a very long time, marketers have been relying on e-books and whitepapers to generate leads for their agency. In fact, according to Pricewaterhouse Coopers, the total Revenue generated from e-book will reach $8.7 million by 2018. It’s a simple process of generating leads, where people interested in reading the e-book or the whitepaper enter their e-mail id and contact number in the form, which is later used to contact them. However, it does not stop at just generating leads. The demand for long form of content i.e. eBooks, white paper is going down tremendously. E-books and white papers help in establishing you or your agency as marketing thought leaders and influencers. A case in point is LinkedIn. As a marketer, you might be aware of the different types of e-books such as the content marketing toolkit and the sophisticated marketers’ guide to content marketing that LinkedIn produces at regular intervals. These guides have successfully helped LinkedIn to establish itself as frontrunners in Content Marketing, and have acted as a base to push the subscribers down the sales funnel. 1. Spend on efforts: Let us admit it; we cannot merely duplicate the content used on the internet to publish an e-book or a whitepaper. The content has to be original and a result of our observations, market research conclusions, and expert opinions. It takes a lot of efforts in terms of time, resources used to get original content, and the cost spent on sourcing them. 2. Escalated cost and a slow process: There is a lot of efforts and money spent on creating a single e-book or a whitepaper. Creating a single e-book or a whitepaper can take at least 2-3 months and cost more than $1000 – $3000 each. A huge amount of investment goes into creating them, which may not be a good strategy if you are a small or medium-sized agency. 3. Late results: While, e-books, and white papers may build your credibility as a thought leader in the long run; it will not show you immediate results. For example, while people may provide you with their contact details, you cannot say with certainty that the leads will convert into a potential customer within weeks. You need to prove yourself constantly as a thought leader to win the trust of the leads before you convert them. So, if you are looking for immediate ROI, e-book and whitepaper may not be a good marketing strategy. A slow and steady strategy, it will help you win the race, but not immediately. 4. Slow impact in this fast-paced time: We live in a time where one cannot retain information or pay attention to anything beyond ten seconds. It is observed that the demand for e-books and whitepaper has reduced to a great extent due to its inability to hold the attention of the audience. So, no matter how informative and well-structured your content, it may not be useful to your entire potential customer as they are on a lookout for actionable insights and not theoretical nuggets alone. Sure, if you have, a team dedicated to doing this exercise and if you are willing to spend thousands to do it, an e-book is certainly a good method to generate leads. However, if you are looking at generating leads cost-effectively and easily with immediate results, then you need to look at more fast-paced alternatives. Do you know the one thing that catapulted Hubspot and Neil Patel to success is their Website Grader and the SEO Analyzer tool respectively? Well, we do not promise that White Label SEO tools will bring your agency on par with HubSpot or Neil Patel, but what we can say with certainty is that you will be able to generate more leads at a price that is way lesser than creating an e-book or a whitepaper. Let us delve more into this option. White label SEO Tool has two aspects to it. 2. Downloading the Audit report in your own branding and sending it to the prospects and make them feel special. There are a lot of tools which does the second part but there are very few tools which do the point 1 & Point 2 together and one of them is RoboAuditor. How does it help your agency grow? 1. Generate leads quickly: Companies like to see actionable insights that can be executed immediately to optimize their website and generate more traffic. 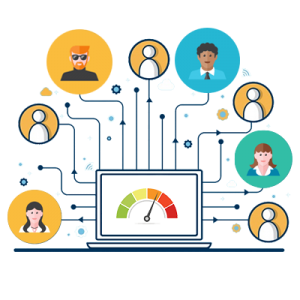 By giving them an in-depth report on their pain points, areas of improvement, and areas where they are good, in just a click of the mouse, you are able to build your credibility immediately as well as generate and convert leads at a fast pace. 2. Reduction in cost per lead: Conventional methods of generating leads such as newsletters, direct response mailers, and reward programs cost a lot as there are multiple resources and touchpoints involved in building the trust and engaging the lead. With white label SEO, you can reduce the cost per lead to a large extent by providing what the customer wants almost immediately. 3. Drastic reduction in operational costs and quick ROI: Unlike other content marketing strategies that require you to spend money and resources for continuous visibility and engagement, white label SEO tool does it in just a fraction of the cost and helps in increasing the ROI multi-fold through its immediate solutions. While we do encourage you to use white label SEO to generate leads and grow your business quickly, we also recommend that you include content marketing as a part of your marketing strategy. HubSpot and Neil Patel use a healthy mix of content marketing such as e-books, videos, and blogs to share knowledge nuggets with their audience and white label SEO tool provides them solutions to improve their website’s SEO. This mix of strategies will help in creating a holistic approach and building your credibility as a marketing expert, which is very important to generate and convert the leads. There is no optimal keyword density out there. There is, however, a lot of room for original, quality, and valuable content. Having said this at the very outset, is there more to be said? The presence of duplicate content on your website can translate into a compromised search engine ranking. The most notable search engines like Google and Bing employ a sophisticated and astute strategy to reward web pages. With the highest quality of unique content by adding them to their indices. While eliminating the web pages with exact or “appreciably similar” content from the SERPs. The following article supply an overview of the duplicate content. How it can affect your position on the search engine listings. We have also arranged a comprehensive list of tools you can use to ensure that your website adheres. To the search engine guidelines and provides authentic content to the users. Duplicating parts of content like block-quoting text from another source (as done above) or e-commerce websites quoting supplier provided generic product descriptions are inevitable. However, significant concerns arise when a substantial number of web pages on your site hosts content similar to other pages on the Internet. How do duplication issues arise? In most cases, duplicate content is not created deliberately by website owners. Despite that, a study conducted by Raven Tools estimated that 29% of the sites face issues of duplicate content. At times, the same page of your website is located in multiple places. For example, In an e-commerce website the page featuring. An item of women’s clothing on sale found. Both in the “Women Clothing” section as well as the “Sale” section. Session IDs are another reason for duplicate content. Various e-commerce websites involve the use of session IDs to track user behavior. However, when each user is assigned a different session ID. It creates a duplicate of core URL of the page where session ID was applied. When your site has two different versions, one with and the other without the www prefix and each version have the same content, they both compete with each other for search engine rankings. There are a few websites which may conduct plagiarism by copying blog posts or republishing editorial content. A practice which results in content duplication and frowned. However, various e-commerce websites also create duplicate content. When they are selling same products on other sites. Use the standard product description provided by the manufacturer. How to fix duplication issues? Using a Canonical URL on each duplicated page helps the search engine identify the original page that should be indexed and prevents the duplicate URLs from being registered. Hence, all the links, content metrics, and other ranking factors attributed to the original page. On each duplicated page helps the search engine identify the original page that should be indexed and prevents the duplicate URLs from being registered. Hence, all the links, content metrics, and other ranking factors are attributed to the original page. In most cases, implementing a 301 Redirect is the most suitable option to give precedence to the original page. A permanent 301 redirect directs. The users and the search engines to the original page regardless of the URL they type in the browser. Applying a 301 redirect to the most valuable page. Amongst all the duplicated pages stops the different pages from competing with each other for rankings. As well as strengthens the relevancy factor of the original page. 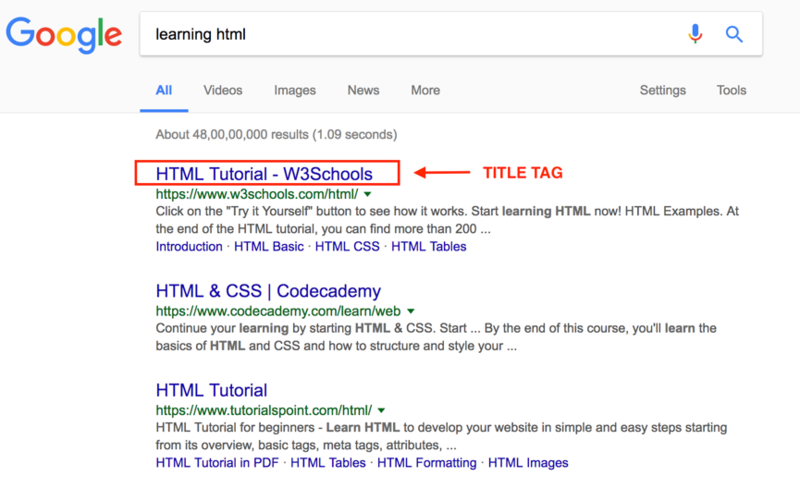 By including a Noindex follow Meta tag to the HTML head of a page, you can prevent the page from being indexed by the search engine. The search engines can crawl the page. When they encounter the tag or header. They will drop the page to stop it from being included in the SERPs. A simple way to distinguish your content. Especially product descriptions, from other e-commerce websites, is to supplement the generic story with your wording. That targets the specific audience and their problems. Include your unique selling proposition to the content, outlining the product, to compel the users to buy from you. For a more comprehensive understanding of how duplicated content created and how you prevent them from building or how you can fix the issues, read this blog by Neil Patel, marketing expert, consultant, and speaker. Before you can implement solutions to counter the effects of duplicate content, you need to audit the content of your website to determine what needs to fixed. Moz is a well-recognized name in the field of SEO, inbound marketing, content marketing, and link building. In addition to these services, Moz also offers a Site Crawl tool which is very useful in identifying duplicate page content within the website. The tool recognizes duplicate content as a high priority issue since an increased ratio of the duplicate to unique content can significantly diminish a website’s credibility in the Search Engine Indexing. The tool also allows you to export the pages with duplicate material which makes it easier to determine the unchangeable that need to implement. The Moz tool is a paid tool for 30 days free trial period. 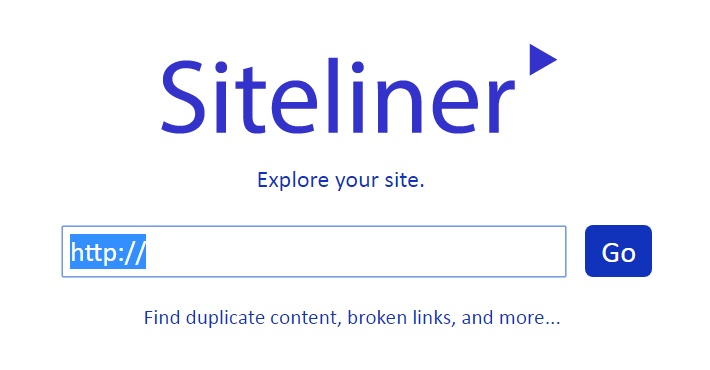 The Siteliner is a fantastic tool for garnering in-depth analysis of the pages which duplicated and the proximity of their relation. The device identifies not only the copied pages but also the specific areas of texts that replicated. This feature is advantageous in some instances where large bodies of texts duplicated while the entire page may not have replicated. It also offers a quick way to gain insight on the pages which contain the most internal duplicate content. Copyscape is one of the oldest plagiarism tools, which is mainly significant for auditing website content to identify external editorial duplicate content. It crawls the website’s sitemap and compares existing URL individually to the Google’s index to check for duplicates on your pages. It exports the data as a CSV file and ranks the pages by the duplicated content, where the most replicated page given the highest priority. You can also purchase a subscription to the tool for a nominal fee to check for plagiarism in the content you create in Word document. Screaming Frog is frog is highly famous amongst advanced SEO professionals because, in addition, to duplicate content, it also identifies potential technical issues, improper redirect, and error messages amongst other things. It creates a comprehensive crawl report of your site and displays all the titles, URLs, status code and word count which makes it simpler to review and compare the titles and URLs to identify replicates. The low-word-count pages can be considered for quality and rewritten in case of poor quality while status column can help identify pages with 404 errors that need to remove. 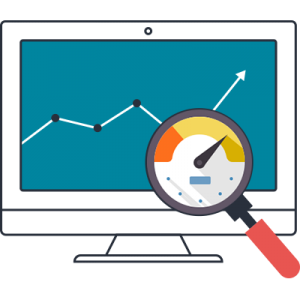 Google search console offers a high level of investigative tools which are incomparable in quality to those provided by other search engines like Bing. However, compared to Screaming frog, it offers limited features and lack of additional insight. The service is free to set up on your website. Duplichecker is one of the best free plagiarism checker tools which allows you to conduct useful text and URL searches to rule out plagiarism in your text. The tool permits unlimited searches once you have registered and allows one free trial search. The entire process of scanning conducted in a short amount of time; however, the time varies according to the length of the text and size of the file. This quality of the tool is inferior to the advanced paid tools like the one provided by Moz. Plagspotter is another plagiarism tool that offers free services. The URL search conducted by this device is thorough and quick, and yields sources of duplicated content for further review. In addition to the free URL search, it also offers a plethora of valuable features, in the affordable paid version, including full site scan, plagiarism monitoring, and batch searches. You can also sign up for their free 7-day trial. Duplicate content, whether internal or external, can have a significant influence on your search engine rankings and the overall visibility of your website. Therefore, it is imperative to produce authentic, robust, engaging and unique content to the best of your abilities. Despite Google’s expertise in spotting unintentional duplication, the best practice is to keep your content plagiarism free through periodic website content audit by the creative tools and subsequent fixing of the detected issues. Search Engine Optimization (SEO) is the action taken on the content of a web page to ensure that it is found in the Search Engine Results Page (SERPs) when searched for words or phrases relevant to the content of the web page. SEO audit is a standard procedure undertaken for any website to get a better insight into the contents of the site, individual web pages, and overall traffic. An SEO audit checklist is always helpful and improves performance allowing for a better ranking in the SERPs. The most important part of a technical SEO audit checklist is to make sure you are targeting your content for the right set of keywords. They are the building blocks of a Search Engine Optimized web page. They are the words that readers use to query in search engines. To ensure your readers get to your website, you need to make sure you use right keywords in the content of your web pages. When used appropriately it provides a roadmap for developing content, designing and building the websites. One should not neglect the manner in which ones’ site is presented via the Title Tags and meta descriptions, which play an important role in how search engines like Google view your site. It is important that you use the right keywords pertinent to the content on the page. They are short sentences used to describe title tags or short titles assigned to individual pages on a website. Meta Description is written into the site’s code to feed information to search bots. They increase the site’s visibility and get it compartmentalized, as the search engine deems appropriate. It is important that keywords appropriate to the content on the web page are incorporated into the meta description. One needs to make sure titles and descriptions are present on every page of the website. Keep them concise. Titles should be no more than 100 characters including spaces and descriptions no more than 170. They should focus on introducing the concept. Duplicates are a strict NO and there is no room for plagiarizing. The original page might have been moved and you want to send the user to the present location. To track clicks and log pages that refer users to a site. 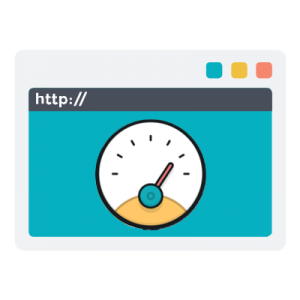 To secure the information you are sending and receiving and when switching users from using HTTP to https. To redirect the user to a device-specific version of the website. Hyperlinking inconsistently also renders redirection. 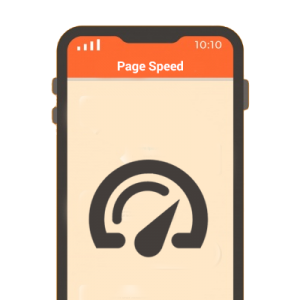 Minimize redirection to optimize page performance. A 301 redirect passes between 90-99% of ranking power to the redirected page. It is a permanent redirect. In HTTP version 1, 302 redirects are referred to as Moved Temporarily and in version 1.1 to mean Found. Mobile devices are rapidly changing the world. A not so mobile friendly website version may require one to pinch/ zoom in order to read the content which can be frustrating, whereas a mobile-friendly version is readable and usable immediately. Making a mobile-friendly site depends on developer resources, business model, and expertise. Signal to google when a page is formatted for mobile use as this helps search engine to accurately serve mobile searches. Do not use robots.txt to block search engines from accessing critical files. Avoid common mistakes which frustrate mobile visitors such as featuring unplayable videos. It is the users’ visible area of a web page. It is smaller on a mobile device than on a computer screen. Sites can set their viewport to a specific size. You should make sure your pages work in a variety of screen sizes and orientations. 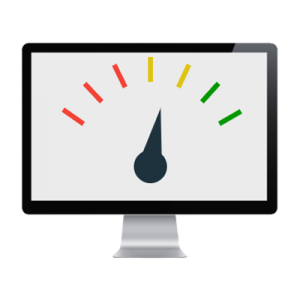 With file Compressions, you can reduce the size of the web page files up to a maximum of 70%. This means faster loading time and amounts to better status with the search engines. You can achieve this by setting up a compressed version of a file on the server site, which is smaller and therefore takes less time to send the same to the user’s browser. The file is decompressed on the user’s site resulting in faster file transfer. gzip compression is a very popular compression tool and its open source too. Minification in JS and CSS is the process of removing all unnecessary characters from the source code without changing its functionality. JS and CSS resources should be minified which reduces their file size but at the same time preserving their functionality. JS source can make code readable and debuggable even after it has been combined and minified. In simple terms, the Sitemap is like an archive of every page on a website, typically organized in a hierarchical manner. This should be easily recognized in a website for search engine crawlers to stumble upon it. A sitemap is important because it tells the search engines the content present on the website often it has been updated. This is crucial because search engines rank web pages and not just websites. Having an XML sitemap improves a website’s SEO. This file is used to give instructions to the search engine bots. Robot.txt file is a publicly available file. Anyone can see what sections of your server you don’t want robots to see. Google uses them to index web content. This should be used only to control crawling traffic. The Alt tag is the most important image optimization factor. The text in the alt tag is displayed if the image cannot be shown or is taking too long to load. Most of the search engines are text-based and hence cannot read images or videos. Creating descriptive keywords with file names is very important for optimizing images. Separate thumbnails from the main pictures. Lastly when in doubt you can always run your website through RoboAuditor’s SEO Audit Tool. The RoboAuditor tool not only checks for the elements mentioned above but much more. Before you host your website, it is essential that you tick off all the points on your SEO audit checklist. Pin up a list of the SEO audit checklist on your desk and make sure you do not miss out any of the items on the list.